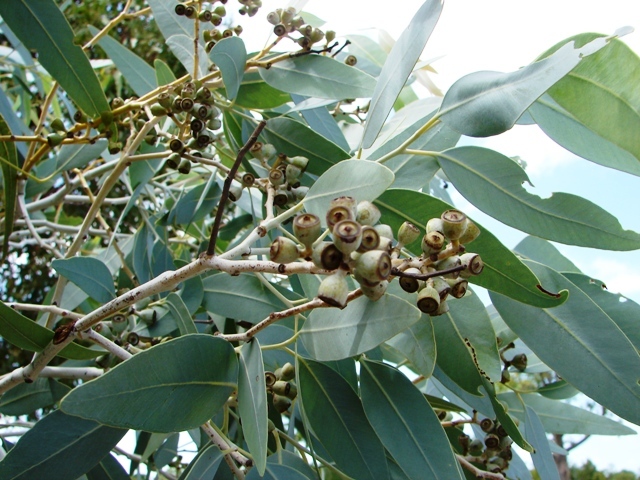 Medium tree from the central Kimberley, with silver grey leaves, box like bark, often called Mt House Box. This entry was posted in Eucalyptus and tagged Eucalyptus argillacea. Bookmark the permalink.